Satin-finish for the Whitepot pot by KnIndustrie, an innovative and functional item that, in a moment, cooks exquisite food. 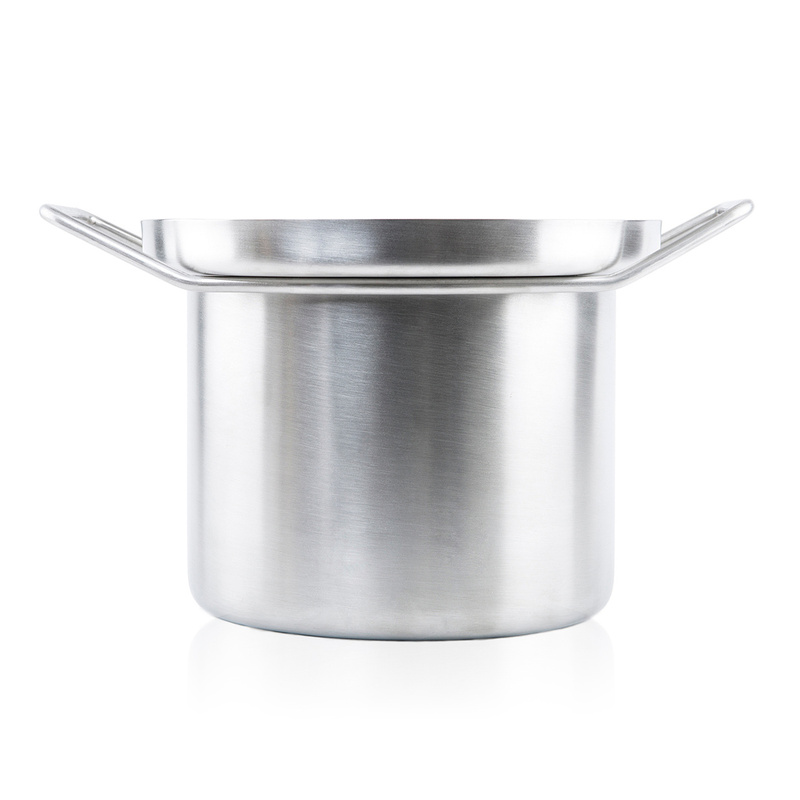 Featuring a round shape very pleasant in appearance, the pot is made in aluminium, a material that is non-toxic and aesthetically beautiful while the bottom in trilamine steel/aluminium/steel ensures uniform cooking as it evenly distributes the heat. 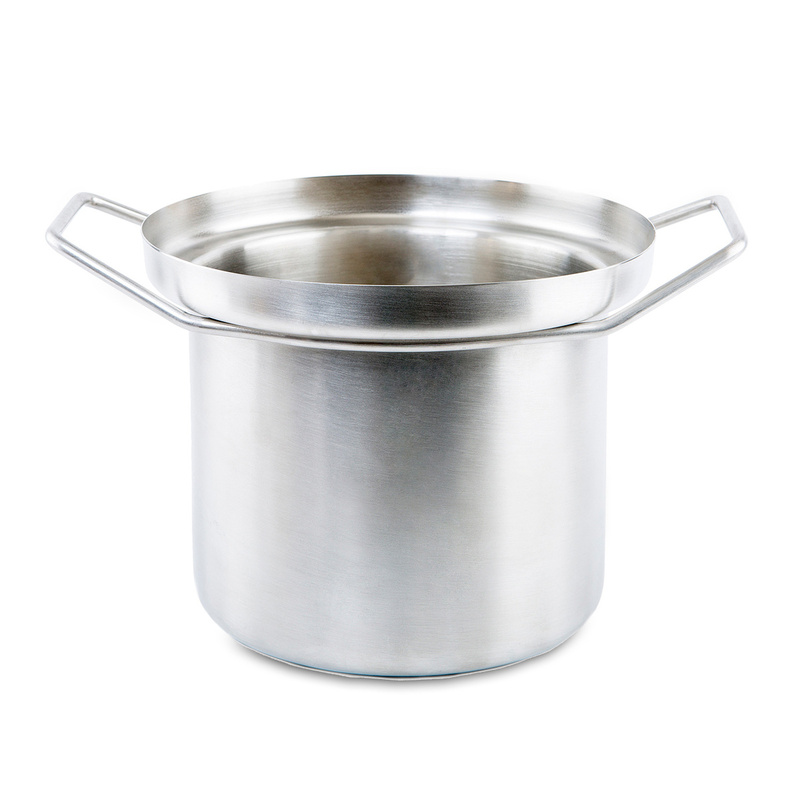 To preserve the non-stick quality of the pot and the pot in general, when first using it grease the inside uniformly with a little oil and dry it with a soft cloth; do not overheat the pot; do not burn fatty foods inside it; allow the pot to cool before washing it; do not use metal utensils with it but only plastic or wooden ones; avoid storing acidic foods in the pot; do not use abrasive powders and/or pads to wash the pot but rather use warm water and a soft sponge with a minimal amount of neutral detergent. Dishwasher-safe, provided you use washing cycles with low temperature (50°C or ECO) and place it inside the machine carefully, avoiding scratching the cover. The pot can be used on any cooking surface.